At Ozonics, we are committed to providing hunters with a better hunting experience. With that goal in mind, we believe in total transparency. If you have any questions about our products or how to use them for the best results, we are happy to help. Before contacting us, we encourage you to browse our FAQ for detailed answers to commonly asked questions. FAQ #1 - How is ozone created? Lightning: When lightning passes through the air, the electric current produced passes through and fractures the oxygen (O2) to create ozone (O3). UV light: Oxygen in the presence of a 185 nm UV light creates ozone. Both methods separate or fracture the oxygen molecule to form ozone. FAQ #2 - How does an Ozonics Unit create ozone? Everything required to generate ozone is contained in the unit itself—you don’t need to add any powder or liquid. As long as you have a charged battery and the unit is on, it is producing ozone. Ozonics utilizes a process called the corona discharge method to create ozone, which is the same method lightning uses to create ozone naturally. In an Ozonics Unit, oxygen from the ambient air is pulled into the unit and forced across a high-voltage coil to simulate the corona discharge method. The oxygen (O2) is broken apart and recombines to form ozone (O3). The ozone is then dispersed from the front of the HR Unit with a quiet internal fan. FAQ #3 - Is ozone safe? The U.S. government performs tests and develops safety standards for numerous materials/compounds—including ozone—and approves them as safe for human use. 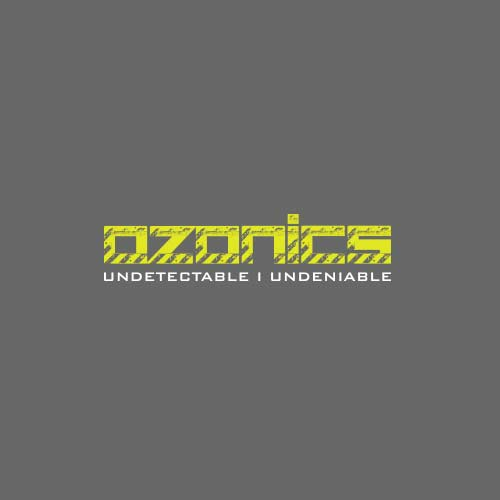 Every Ozonics device is built to meet all federal safety standards (OSHA, EPA, NIOSH) for the human consumption of ozone. A very small subset of humans are sensitive to ozone and may experience non-fatal symptoms such as watery eyes or lightheadedness in its presence. Federal standards recommend those with heart and lung conditions should not utilize ozone-generating products. It's always important to use Ozonics as directed in a well ventilated area. Unless seriously misused, Ozonics cannot produce enough ozone to be dangerous to human health. We care about your safety and are committed to providing you this powerful scent-eliminating technology in a way that's healthy for everyone. FAQ #4 - Will I smell ozone coming from my unit? When properly set up—in an open-air environment or in a ground blind—you should not smell ozone. When using an Ozonics, it’s not uncommon to smell ozone occasionally/rarely as the wind varies and swirls, but if you smell it often, the wind has switched and you need to augment your setup accordingly. You always want to focus the concentration of ozone on the downwind side of your setup, forcing the ozone to attack your human odor as quickly as possible as it leaves your body—not the odor directly on your body (see “How do I use my Ozonics in a treestand/ground blind” below). In summary, when your HR Unit is set up correctly, you will not be exposed to ozone except when the wind shifts—and this is an indication to adjust or modify your setup. FAQ #5 - How does ozone destroy human odor? Ozone’s ability to destroy, alter, and reduce human odor has been well documented, and it has been used in various industries for this purpose for more than 100 years. While an oxygen molecule (O2) is relatively stable, ozone (O3) is very unstable and seeks to revert to its more stable state as oxygen (O2). As a result, ozone readily bonds with and reacts with other compounds, including human odor. When this oxidation process occurs, some compounds are completely destroyed and others are altered in such a way that different compounds are created. Animals might detect these new compounds, but they do not associate them with humans, and as a result, are not threatened. Ozonics patent-protected technology has shown that ozone can mitigate (destroy and alter) airborne odors at lower levels than previously understood, and that ozone can dramatically decrease the amount of human odor in your downwind scent zone (scent stream) when the two come in contact. FAQ #6 - How do I use my Ozonics in a treestand? Ozonics HR Units feature two modes for in-the-field use: Standard and Boost mode. Boost mode was specifically created to maximize ozone output for open-air environments such as a treestand set or other open-air situations, such as spot-and-stalk or hunting from the ground. Mount your Ozonics HR Unit 8-12 inches above your head. Under average wind conditions (3-12 MPH), adjust the HR Unit by pointing it downward at a 30-degree angle. It’s critical that the front face of the unit always points in the direction the wind is blowing (downwind). This directs the heavier ozone molecules to fall into your scent stream being carried by the wind, altering and destroying your odor in the process. To achieve the best results, you should be adjusting your HR unit as necessary or “chasing the wind” throughout your hunt to always point directly downwind. This will flood your scent zone with a concentrated stream of ozone, maximizing the amount of time the ozone interacts with your scent molecules (odor being released into the air stream by you), and maximizing the amount of ozone that attacks those same molecules. In high-wind situations (greater than 12 MPH) increase effectiveness by bringing your HR Unit in closer to your body/scent profile, and position it at a sharper downward angle (75-80 degrees). This aids in forcing the ozone into the airstream closest to the downside of your body before your concentration of ozone can be diluted by the higher winds. In low or no wind, maximize effectiveness by angling your HR Unit down at a steeper angle (up to 90 degrees—or straight down—depending on wind speed), to chase your scent molecules as they fall directly below you. Take care to concentrate ozone as close to your setup as possible without showering the ozone directly on you and wasting it. FAQ #7 - How do I use my Ozonics in a ground blind? Use of an Ozonics HR Unit in a blind is an incredibly effective method of scent elimination with the proper setup. By manipulating the window openings, you can direct and control airflow, and ultimately scent and ozone flow. In so doing, you are able to hyper-ozonate any air that is leaving the blind, maximizing the amount of time the ozone has to interact with your scent molecules and maximizing the amount of ozone that attacks those same molecules (time + concentration = success), thus maximizing your scent elimination. Create a small opening in the window on the side the wind is coming from. This will let air into the blind and is the starting point for creating and controlling your airflow. Create a small window opening on the opposite side of the blind and lower if possible. This will create a chimney effect where the air will come in on one side of the blind and be forced to exit out the other side the blind. Position your Ozonics unit above the downwind or exit window opening. For hub-style pop-up blinds, utilize the specially designed Ozonics Blind Clip. Point the unit downward and directly toward the exit window opening. The airflow will be restricted and force your scent and the ozone out of the blind. This process is called hyper-ozonation, and as the concentrated ozone contacts your scent as they leave the blind together, it destroys, alters, or renders your odor indistinguishable. FAQ #8 - Can I use an Ozonics Unit to deodorize my hunting clothes and gear? Ozone is a well-known and proven deodorizer and sanitizer, and it can be used for de-scenting clothing and other gear as a form of passive scent control. The Ozonics DRiWASH bag is designed specifically for using ozone generated by an Ozonics HR-300 to deodorize your hunting clothing and other gear. With your HR-300 placed on top of the DRiWASH bag, ozone is directed through a specially designed baffled airflow system, across all of the content inside, and then out through a vent in the front of the DRiWASH bag. The Ozonics HR-300 features an automated, ten-minute DRiWASH cycle, providing care-free, one-touch operation to effectively deodorize your hunting clothing and gear no matter where you are. Note: Ozonics asserts that the most effective form of scent elimination is through active scent control—using your Ozonics unit in the field while you’re hunting to continuously eliminate, alter, and reduce your odor to levels where it is no longer perceived as a threat by the animals you hunt. Using your DRiWASH system prior to the hunt and your Ozonics unit during the hunt will maximize the use and effectiveness of ozone, providing you with the most effective scent management system in the industry today. FAQ #9 - Will ozone harm my hunting gear? When utilized correctly, ozone will not harm clothing or gear. However, if ozone is pumped indiscriminately onto your gear for long periods of time in high concentrations—and depending on what type of material it is—yes, it could harm your gear. If you pour a gallon of bleach directly onto your clothes in the washing machine, you will degrade and destroy those clothes. But if you use a cup of bleach dispensed in the right cycle, you clean and sanitize those clothes—ozone is no different. Use the right amount of ozone for the right amount of time and you deodorize and sanitize your hunting gear without harming it. FAQ #10 - Can Ozonics be used in rain, snow or fog? An Ozonics HR Unit should never be used in any type of wet weather situation heavier than a dense fog or light snow. Because of the design requirements to produce ozone, the internal components of your HR Unit are not waterproof and should not get wet. When properly used, your HR Unit should be set at a 30-degree downward angle, and the front grille facing downwind. This configuration will naturally minimize the amount of moisture entering the HR Unit, but moisture can also be pulled into your HR Unit through the air intake opening on the bottom of the unit. When in doubt, it’s best to put your HR Unit in a dry location. Should your HR Unit become wet internally, do not operate your Ozonics HR Unit until it has thoroughly air-dried. FAQ #11 - Will Ozonics work in swirling winds? Hunting from a treestand: Hunting from a treestand is where swirling winds become the biggest factor because ozone is a gas and must contact the scent molecules emitted by the hunter for the scent to be eliminated, altered, or reduced to levels no longer perceived as a threat. First, place the HR Unit 4-6 inches (instead of the standard 8-12 inches) overhead so you can readily redirect the output as the wind changes directions. Note: Be careful to ensure the unit does not interfere with the drawing of your bow or aiming of your crossbow or rifle. Chase the wind: Direct the HR Unit downwind and downward as close to the hunter as possible. FAQ #12 - Will ozone eliminate my scent trail? a) Use the Ozonics DRiWASH bag, in conjunction with your HR-300 Unit, to cleanse and deodorize your hunting clothing and gear prior to the hunt using the proper amount of ozone for the proper amount of time. This will destroy human scent molecules clinging to your clothing and prevent them from transferring to vegetation and leaving a scent trail. This is considered passive scent control because although it is very effective, it is a preventative action taken before the hunt begins. And, unlike active scent control, all forms of passive scent control begin to degrade incrementally and lose effectiveness the second you step foot in the field. Therefore, any passive scent control must be used in combination with an active scent control method such as an Ozonics HR Unit. b) Use the Ozonics Kinetic pack in conjunction with your HR Unit to actively control the odor your body emits while you’re on the move during your hunt, walking to and from your stand, or checking game cameras. The Kinetic pack features an innovative internal design that allows your HR Unit to operate on the move, just as it does in a stationary location, such as a treestand or ground blind—maximizing ozone output and directing ozone into your scent stream to eliminate, alter, or reduce your scent to the point that is no longer perceived as a threat by game animals. This is considered active scent control because it actively attacks your human scent during every moment of your hunt. FAQ #13 - How much will Ozonics improve my hunting? If your Ozonics is used correctly, you will see a dramatic reduction in the number of downwind “busts” by game animals. With a basic understanding of an Ozonics unit, even a novice hunter can see significant improvement in the number and quality of opportunities in the field. To get even more opportunities, some hunters will apply advanced techniques and possibly even use more than one Ozonics unit depending on the difficulty of the conditions. This is a simple acknowledgement that the product is effective, but does have limitations. Remember, ozone must contact the odor for the hunter to be effective at killing scent. Time and concentration will allow the ozone to eliminate, alter, or reduce human scent to the point where animals no longer perceive it as a threat. FAQ #14 - Do animals smell or react to ozone? The short answer: Yes and no. Because ozone is found in the environment at all times in parts-per-million (ppm) quantities, animals are familiar with the smell of ozone at some level. Ozone concentration increases naturally whenever lightning strikes occur, a volcano erupts, or during other similar natural events. Ambient ozone exists in the environment in concentrations between 0.001-0.03-ppm, depending on the local environment. Ozonics produces ozone in concentrations sufficient only to eliminate airborne odors related to humans. Ozone has a half-life of approximately 20 minutes unless it contacts a substance and reacts. Ozonics research reveals that ozone (03) will revert back into oxygen (02) by the time it has traveled roughly 20 feet from the hunter, leaving limited opportunity for an animal to smell ozone in a manner that would cause a reaction. FAQ #15 - How might animals respond when hunting with Ozonics? Proper setup and application of your unit is primarily a game of two factors: TIME and CONCENTRATION. Depending on correct setup and the environmental challenges present, you may see different animal responses when hunting. No response. No reaction from the animal is the most common response. When the odor you release into the scent stream encounters enough ozone (concentration factor) for long enough (time factor) to destroy all of your scent—no animal response is the result. On very rare occasions, when properly set up, an animal might still wind a hunter. There are some exceptional environmental conditions, such as very high or extreme swirling winds, where your time and concentration factors are reduced to the point that a single HR unit cannot produce enough ozone (concentration factor) and keep it in the downwind area long enough (time factor) to destroy, alter, and reduce your released odor to the point the animal doesn’t become alarmed. However, under nearly any hunting conditions, with the right setup of your Ozonics HR Unit, the number of animals that bust from winding a hunter will drop dramatically. FAQ #16 - Will ozone work on all animals that use their nose to detect danger/hunters? Ozone destroys or alters human scent upon contact, so with a proper setup these scent molecules rarely get more than 10 feet downwind in most hunting conditions. When an ozone molecule comes in contact with a human scent molecule, that scent molecule will be eliminated, altered in such a way that animals do not recognize it as human, or reduced to the level where animals do not perceive a threat. Time + concentration = success. Maximum scent elimination is achieved when the maximum amount of ozone interacts with human scent as quickly as possible for as long as possible. FAQ #17 - If Ozonics is used frequently enough, will animals eventually associate danger with the scent of ozone? Because ozone is a naturally occurring element that's always present in the environment, it's highly unlikely for animals to associate the scent specifically with hunters. FAQ #18 - What are the main feature differences between the HR-300 and HR-200? The HR-300 produces 45 percent more ozone than the newest version of the HR-200. This gives you the ability to hunt certain situations that before would have exceeded the capability of one HR-200 Unit, such as winds above 15 mph. The HR-300 uses a different battery and charger than the HR-200. The HR-300 uses a Smart Battery and Smart Charger, meaning the battery and the charger “talk” to each other to maximize runtime, charge effectiveness, and overall battery life cycle. The HR-300 has a new DRiWASH mode programmed into the Unit for use with the DRiWASH Bag for eliminating scent on hunting gear. This is called “PULSE Technology” and is an automatic 10-minute cleansing cycle. The HR-300 has been ergonomically designed to be much easier to use in low-light and no-light situations and/or with gloved hands. Unit operation has been simplified by reducing the number of buttons and increasing their size and changing their shape. The battery is much easier and quieter to take out and put in, even with gloved hands. For these reasons, the HR-200 features low-glow LED utility lights, and the HR-300 does not. The HR-300 comes with an EZ Mount included. FAQ #19 - Does an HR-300 produce more ozone than the HR-200? Yes. The HR-300 produces 45 percent more ozone than the newest version of the HR-200. FAQ #20 - If I have an HR-200, will I be a better hunter with the HR-300? Both the HR-200 and the HR-300 have been proven to work in the field. There isn't a quantifiable difference between the success rates of the two units. The HR-300 offers hunters a complete pre-, mid-, and post-hunt scent management solution while the HR-200 is used primarily in the field during the active hunt. The right device for you depends on your environment, hunting conditions, and preparation techniques. FAQ #21 - I have an Ozonics HR-200 but want an HR-300. Can I trade in my old unit? Ozonics does not currently offer any trade-in program. However, Ozonics does offer OzoniCare, which is a recertification and product maintenance program designed to keep your Ozonics HR Unit clean and performing at optimum levels according to Ozonics Quality Standards. FAQ #22 - How much noise does an Ozonics HR Unit make? All Ozonics HR Units are designed to produce enough ozone to destroy human odor while operating in near silence. Each HR Unit utilizes an internal fan to pull oxygen (O2) into the HR Unit, convert it to ozone (O3), and direct it out the front of the HR Unit. The housing on both the HR-300 and HR-200 is designed to squelch noise produced by the internal fan. In short, the fan produces minimal noise and will not spook game, even in dead-calm conditions. When the unit is positioned 8-12 inches from your head, it may seem noisy at first and may take some time for hunters to adapt to the sound. However, it is not typically a factor at distances as close as ten yards. In the long run, an animal's best defense is its nose. The benefits of Ozonics scent elimination ultimately outweigh the low-volume white noise created by the device. FAQ #23 - What maintenance is required on my Ozonics HR Unit? As your HR Unit ages and the coil is exposed to airborne particulate, internal parts will eventually get dirty and begin to degrade, which can cause loss of effectiveness over time. This happens more quickly in extremely dusty and high-humidity environments. You can inspect the internal coil of your HR unit by turning on your HR Unit in a dark room and looking at the coil through the front grille while the HR Unit is running. The entire coil should be glowing purple. If you see dark spots on the coil, this indicates the areas of the coil that have become dirty—as these dark areas increase, the amount of ozone produced decreases. It’s recommended to use a can of moisture free compressed air blown into the front grille on the unit to periodically remove dust and debris built up on the inside. FAQ #24 - What are the dimensions of my Ozonics HR Unit? Both the HR-300 and HR-200 Units have been designed to be as compact and portable as possible so as not to take up valuable space in your pack when heading out for a hunt. The HR-200 unit stands 3.2 inches tall, with a width of 7.3 inches and measures 5.7 inches front to back. The HR-300 unit stands 2.5 inches tall, with a width of 7 inches and measures 6.5 inches front to back. FAQ #25 - What is the weight of the HR Units? The HR units were designed to be as light as possible and still be an effective scent elimination device. The HR-300 Unit weighs 1 pound. The HR-200 weighs 14 ounces. Each of the Standard batteries for the HR-200 and HR-300 weighs 6 ounces, and an XL battery for either a HR-300 or HR-200 Unit weighs 11 ounces. FAQ #26 - Can I buy a third-party coil online and replace it myself? First, opening your Ozonics HR unit voids any warranty left on the product. If there are any signs of tampering, we (Ozonics) reserve the right to decline the recertification or replacement of the HR unit. More importantly we (Ozonics) have spent many years testing and developing detailed processes for the testing and performance of your HR unit. Following our testing methodology, only we can ensure that your HR unit is functioning at the optimal level. The most important reason not to purchase a third-party replacement coil online is because we (Ozonics) have researched and performed countless hours of testing on functionality and performance of various materials to ensure that we will provide you the longest possible life expectancy of your HR Unit. The fact is, not all materials are created equal and not all materials will perform the same. We only use the best materials. These materials are selected to provide the longest life and highest performance standard for you as a hunter. FAQ #27 - What is the expected life of my Ozonics Unit? Is there a warranty? Is there a money-back guarantee? Ozonics offers 100 percent product replacement for your HR-200 or HR-300 on any workmanship or component defects limited to 1 year from date of purchase. All batteries and accessories have a 100 percent product replacement warranty for workmanship or component defects for 6 months from date of purchase. Please note: The Ozonics Money-Back Guarantee was discontinued and expired effective December 31, 2015. FAQ #28 - How will I know when my Ozonics Unit needs to be serviced or replaced? As your HR Unit ages and the coil is exposed to airborne particulate, internal parts will eventually get dirty and begin to degrade, which can cause loss of effectiveness over time. This happens more quickly in extremely dusty and high-humidity environments. You can inspect the internal coil of your HR unit by turning on your HR Unit in a dark room and looking at the coil through the front grille while the HR Unit is running. The entire coil should be glowing purple. If you see dark spots on the coil, this indicates the areas of the coil that have become dirty—as these dark areas increase, the amount of ozone produced decreases. It’s recommended to use a can of moisture-free compressed air blown into the front grille on the unit to periodically remove dust and debris built up on the inside. To help maintain your HR Unit in the best possible condition, Ozonics developed the OzoniCare program to inspect, repair, recondition, test, and certify your HR Unit to Ozonics Quality Standards (OQS) to give you the peace of mind that it’s performing at its best. Visit the OzoniCare page on our website or call our customer service department (979.285.2400 ) for more information. FAQ #29 - How often should my Ozonics Unit be serviced? We have created the OzoniCare program to help you get the most out of your unit for many hunting seasons. Ozonics recommends returning your HR-200 or HR-300 to Ozonics after no more than 3 full seasons of use to have the product recertified to perform at its best and meet Ozonics Quality Standards (OQS). We require that you pay the cost of shipping your HR Unit to us, and we will pick up the shipping tab when we send your “ready for battle” HR Unit back to you via FedEx. Although we can address almost anything that might happen to your HR Unit from normal use, there will be some extreme cases where the repair and recertification of your HR Unit is not possible, and Ozonics reserves the right to determine if your HR Unit can be refurbished. If, for any reason, we cannot breathe new life into your HR Unit, we will call you directly to discuss other options. In order to minimize turn-around time, when we receive your HR Unit for OQS recertification, we will return an equal to or newer vintage certified HR Unit to you within 10 business days from receipt of your product at the Ozonics facility. (Please note: Because of the short turn-around, you will not get your exact HR Unit returned to you). We will ensure the HR Unit you receive has been certified to meet or exceed its original performance specifications. For customers outside of the United States, Ozonics will pay up to $15 for shipping costs—non-domestic customers are responsible for paying all additional shipping fees and duties. We also understand that if your HR Unit has become a part of your hunting family and you desire the exact same unit sent back to you, we can accommodate that request—however, this increases turn-around time from 10 business days to approximately 6-8 weeks, so please plan accordingly. Note: Because of the stress placed on the connection points of your HR Unit in the assembly and disassembly process, your HR Unit can only be recertified one time. This ensures the quality and consistency of the HR Units that we recondition, and the HR Unit will be permanently marked in a discrete way that will ensure Ozonics knows the status of the unit. FAQ #30 - Will Ozonics diminish the effectiveness of a ThermaCell? Because ozone is a highly unstable molecule that attaches to whatever it contacts first, an Ozonics Unit might diminish the effectiveness of a ThermaCell if the ozone produced by the HR Unit first contacts the insect repellent molecules produced by the ThermaCell before it contacts human scent molecules. In a treestand: Position the ThermaCell upwind of your setup with the Ozonics Unit producing ozone on the downwind side of your setup. In a ground blind: For proper use of an Ozonics Unit in a ground blind, see “How do I use my Ozonics in a ground blind?” Position the ThermaCell upwind of the HR Unit. FAQ #31 - How do I properly store my Ozonics Unit and batteries? When getting ready to store your HR unit and its accessories for prolonged periods of non-use, proper storage of the Ozonics batteries will lead to increased life and optimal performance. HR-200: When you’re ready to store the battery for long periods of time, the battery will need to be placed into an optimal charge level. To put the battery in optimal storage condition, first charge the battery to full in the Ozonics charger, then place battery into the HR unit. Turn the HR Unit on and place in Boost mode. Let the HR Unit run in a well-ventilated area for 2-3 hours for a standard battery and 4-5 hours for an XL battery. Store the battery in a dry location between 70-80 degrees Fahrenheit. Do not store battery in the HR Unit or in the battery charger. HR-300: When you’re ready to store the battery, place the battery into the HR-300 charger and wait for the LED to turn solid red. Once the LED turns solid red, press and hold the “Storage” button on the front until the red LED starts to flash. The charger will go through a cycle that will automatically place the battery in the optimal charge level. When the battery is ready, the LEDs will oscillate between red and green. Remove the battery from the charger and store in a dry location between 70-80 degrees Fahrenheit. Do not store battery in the HR Unit or in the battery charger. Do not store the battery in excessively hot or excessively cold areas. Storage in temperature extremes will lead to shortened battery life or diminished runtime. FAQ #32 - How long will the battery last in the field? FAQ #33 - How long does it take to charge the battery after a full discharge? Recharging your Ozonics battery is a simple process, and the time to recharge your battery depends on the type of battery and type of unit. The HR-200 and HR-300 batteries are not the same and have different chargers as well. HR-200: First—and this is very important—plug the EMPTY battery charger power supply into the wall outlet first and the green LED will illuminate. Wait 10 seconds and then place the battery into the HR-200 charger and the LED on the wall power supply will change from green to red to indicate charge. A fully depleted HR-200 Standard battery will take 2-3 hours to charge, and the XL battery will take 4-5 hours to fully charge. HR-300: First, plug the AC line cord into the power supply and then into the AC wall socket. Then plug the cord from the power supply into the EMPTY charger. Wait 10 seconds and then place the battery into the HR-300 charger and the red “Charge” LED will illuminate to indicate charging is in progress. A fully depleted HR-300 Standard Battery will take 2-3 hours to charge, and the XL Battery will take 4-5 hours to charge. FAQ #34 - What can I do to maximize the battery life of my HR Unit? Do not store the battery in the HR Unit for extended periods of time. It’s acceptable to leave the battery in the HR Unit for a few days when not in use—such as during the week between weekend hunts. The HR Unit is continuously pulling a small amount of power from the battery, even in the “off” state. If the battery is left in the HR Unit for extended periods of time, it will drain the battery completely and potentially result in decreased runtime performance from the battery, or shorten the battery’s useful life. Do not store the HR-200 or HR-300 battery in the HR charger. After a battery has reached a full charge and the green indicator LED is illuminated, remove the battery from the charger and store in a dry location until its next use. Never leave the battery in the charger if the charger is unplugged. The charger will slowly drain the battery, which can result in decreased runtime performance or shortened battery life. At the end of your hunting season, make sure to properly store your HR battery. A li-ion battery should not be stored for long periods of time (several months during the off-season) in a fully charged state OR in a fully discharged state. A li-ion battery needs to be stored for long periods of time in a state that is approximately 50 percent full. To obtain a 50 percent charge on your HR-200 battery, charge the battery to completion in the HR-200 charger until the green LED indicator is illuminated. At this point, remove the battery from the charger and place it into the HR-200 unit. Run the HR-200 on Boost mode for 2.5 hours with a Standard battery, or for 5 hours for an XL battery, in a well ventilated area, turn the unit off, remove the battery and store it in a cool dry location (60 to 85 F is preferred) for the duration of your off season. To obtain a 50 percent charge on your HR-300 Smart Battery, place the battery in the HR-300 charger and wait for the LED to turn solid red. Once the LED turns solid red press and hold the button on the front of the that says, “Press for Storage,” until the red LED starts to blink at a once-per-second rate. Release the button. In this mode, the charger will charge the Smart Battery to the 50 percent state and indicate the battery is ready by alternately blinking between red and green. Remove the battery from the charger and store in a cool dry place (60 to 85 F is preferred). Cycle your HR batteries during the off season. A li-ion battery can lose its effectiveness when it rests unused for long periods of time. It’s good practice in the off season to take your HR battery and cycle it periodically, every 2 months. Take the battery and fully charge it, then run it in the HR Unit until the unit shuts off. Return the battery to the 50 percent storage condition as listed per HR-200 or HR-300 battery storage instructions. Do not charge your HR batteries in extreme temperature conditions. If the temperature is below 32 degrees Fahrenheit or above 100 degrees Fahrenheit in the location where you wish to charge your HR battery, you will need to find a location that’s not outside of the recommended charging temperatures. Ideal charging temperatures are 55-85 degrees Fahrenheit. If you repeatedly charge your HR-200 battery in temperature conditions below 32 degrees Fahrenheit or above 100 degrees Fahrenheit, you could reduce useful life of the battery pack. The HR-300 battery is a Smart battery, meaning it has an electronic circuit that monitors many battery parameters, including temperature. If the battery determines it’s out of the recommended temperature range, it will instruct the HR-300 battery charger to reduce its charge rate or completely cease charge to protect the battery. Charging in extreme temperature conditions with the HR-300 Smart battery can lead to charge times in excess of 12 hours. FAQ #35 - How do environmental conditions affect battery performance? Environmental conditions can affect the battery charge and runtimes, in addition to the performance of the HR Units. The runtime of all HR batteries during your hunts can be minor or greatly affected by the environmental conditions the battery experiences. Because the battery is an electro-chemical device, several conditional factors might affect the ability of the battery to produce a desired runtime. A battery has a certain amount of stored energy it can deliver to the HR Unit, which is called “capacity” and rated in mAhr (which is listed on the battery label). In the HR unit, higher capacity is equal to longer runtime. Battery age: A battery’s capacity is rated at a certain capacity value, as determined by a new, unused battery. Because the battery receives its electrical potential from a chemical reaction, over time that reaction does not happen as efficiently as when the chemical reaction was new. Therefore, over time, the battery cannot achieve the same capacity as it did when it was brand new because the chemical process slowly wears out with time and use. Battery usage: With every use of a battery—a discharge in the unit and recharge in the charger—the available capacity of the battery is slightly reduced. The more times a battery is used, the more that capacity is reduced. Cold temperatures: Because the battery is producing electrical potential due to a chemical reaction, the reaction slows down as the battery gets cold. Diminished runtimes of a battery are common when it’s exposed to a cold environment. Hot temperatures: HR batteries should never be exposed to high temperatures, such as being left in a vehicle during a hot day. Repeated exposure to high heat environments will diminish the runtime and overall life of your HR battery.